When someone mentions Sara Ramirez, I think of an incredible talented actress, amazing singer and for me personally my ‘role model’. Living in a country like Belgium has besides its positive values (The Delicious Belgian Chocolate), some serious downsides. The most important one is probably living way too far from the US, which means meeting my role model is almost impossible. Unless I of course win the lottery and have lots of time to travel, but that’s a bit besides the point… What I’m actually trying to say is that I would do a lot to be able to meet Sara Ramirez. 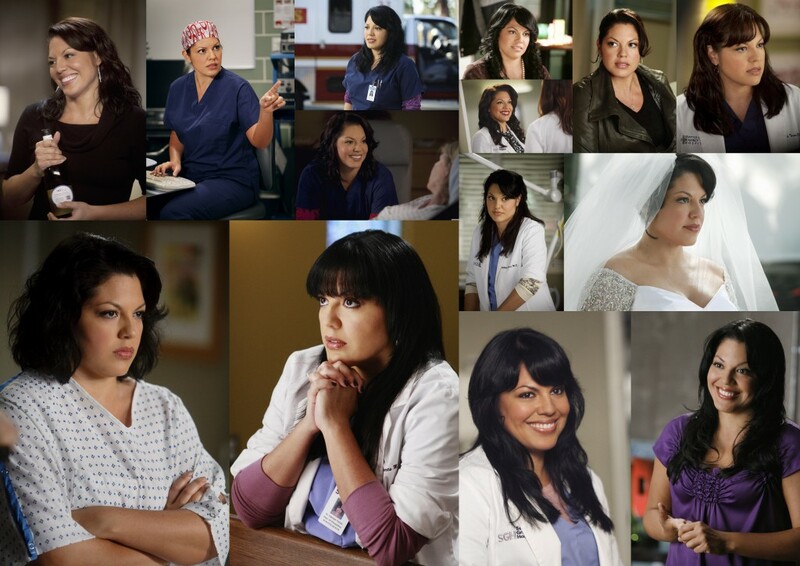 I got to know Sara Ramirez like most of you did as Dr. Callie (Calliope) Torres in Grey’s Anatomy. I was really happy when Sara joined the cast of Grey’s Anatomy in season 2. Sara is extremely talented. I think she’s unique. And she is doing an excellent ‘job’ as Calliope. She puts so much emotion in her character and it’s really nice to see. Callie Torres didn’t have an easy life so far, quite an emotional rollercoaster. Sara is really able to move her fans. Season 8 has been great so far. Lots of Callie scenes. And I love all the ‘Calzona’ scenes. 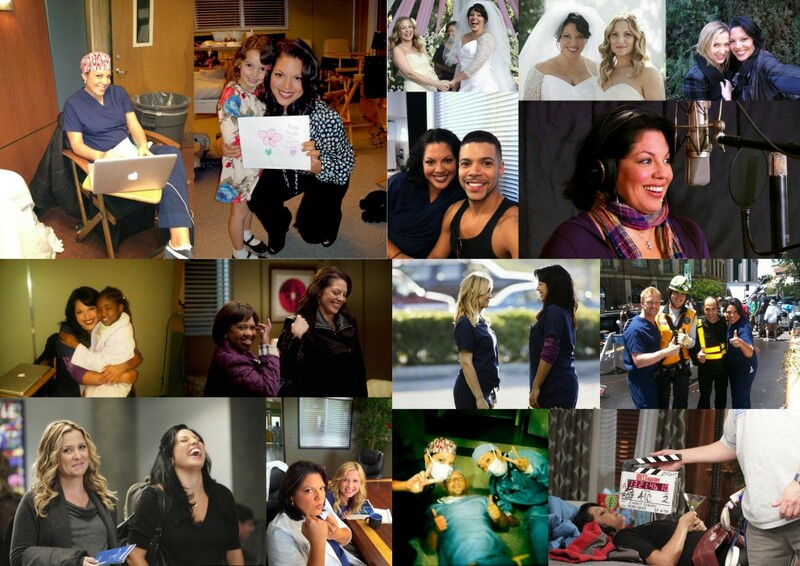 Grey’s Anatomy wouldn’t be the same without Sara Ramirez. So these season 8 finale rumors that we have now, about ‘a character dying’, I hope it isn’t Callie or Arizona… Cause that would make me unbelievable sad and I wouldn’t like Shonda that much anymore.. In the beginning I didn’t even know that Sara could sing (a shame I know, I blame ‘the living in Belgium’ part). But then I heard her talking in different interviews about her part in ‘The Lady Of The Lake’ and winning a Tony Award. And that changed everything for me. What an amazing voice!! I mean WOW!! Her first EP is just outstanding. Totally worth buying it! I’ve personally always been fascinated by music and it has always been a big part of my daily life. I played piano for about 10 years and I loved it. I still try to play piano as much as possible. So when I hear a song for the first time, it just has to be able to make you feel the music / emotions, if you know what I mean. The beginning of a song is quite crucial for me. Anyway, when I heard ‘Waitin’ for the first time I was blown away. The combination of Sara’s voice and the piano is true magic. I have goosebumps everytime I listen to that song and that proves what an amazing artist Sara is. The same with ‘Break My Heart’. Her EP is amazing!!! I was actually really excited for the musical episode of Grey’s Anatomy, because that would mean lots of Sara Ramirez singing. I totally wasn’t disappointed. I even became a bigger fan of her if that’s even possible. I never heard ‘The Story’ before, but I gotta say, Sara did excellent! I loved all the songs used on that episode, but the version of ‘Chasing Cars’ with Sara, Chandra & Kevin is just amazing. And also the duet with Jessica Capshaw ‘Universe & U’, I love it!! So you can imagine how sad I was that I couldn’t make it to ‘The Songs Beneath The Show’ event. It would have been great to see Sara and the cast sing live. But thanks to the amazing fans who actually were there (you know who you are), there were lots of videos. I was / still am speechless… So now, I’m secretly hoping for a new EP of Sara and a tour (Europe please). Well, there’s nothing wrong with dreaming right?! Besides acting and singing, Sara is also part of the Al. D. Rodriguez Liver Foundation, which I think is a great organisation. It’s founded in memory of Al. D. Rodriguez, Sara’s close friend. It provides resources, information and education related to everything involving Hepatitis Virus and liver cancer. I truly support organisations like this, mainly because I’ve always been interested in cancer research and it’s my goal to have a career in that field. If you haven’t checked out their website, you totally should and they are also on twitter. I actually wanted to thank Tosha, The Fanclub President, for all her hard work she’s doing. The newsletters are incredible, something I’m always looking forward to. And also a ‘Thank You’ to Emily! You’re a fantastic, very friendly, helpful,… amazing fan of Sara Ramirez. Thanks for making that fanbook and giving the international fans a chance to be a part of it!! I really appreciate that!! Sara, if you happen to read this, just know that you have lots and lots of fans around the world who adore you! I’m a very big fan of you, I would even say biggest fan but I think lots of fans say that, and I really look up to you. You are a great role model and a true inspiration for everyone. Keep up with the amazing good work you’re doing. Don’t stop making music cause you’re a fantastic singer. I hope you’ll be on Grey’s Anatomy for a long, long time. You’re awesome! It would be a dream come true to meet you one day! Love ya! I’m going to end this blog, with something Sara said in an interview about Latina’s, but I personally think it’s good advice for everyone! © [Felien Geldhof] and [BFellicious], . no words for this! Sara should read it, it would be full of proud. Great!Totally worth the waiting! ;)Just like you I also didn’t know that Sara can sing.When I heard her singing in the music episode I had a long lasting jaw-dropping moment.Incredible,strong and very rare voice! p.s. I want Belgian chocolate too. Awesome, as Sara is. It would be a dream come true to hear her sing and to meet her and Jessica. We can only hope for a concert or another music event but in Europe this time.